I start off with using the Superfacialist Vitamin C+ Skin Renew Cleansing Oil by Una Brennan (£10.99). Taking a few drops between my fingers I rub it all over my dry face on top of makeup and it breaks down the makeup effortlessly. I love how this feels on my skin, which I would categorise as slightly dehydrated/normal. It’s not heavy and once massaged into the skin and then with water added on top it washes away most of my makeup so easily. You can also use this on a cotton pad over the eyes to remove eyeliner, mascara etc, OR you could just gently massage the oil over the eyes when doing the face if you’re lazy like myself. This will result in looking like a panda for a few minutes but it’s worth it! I also appreciate how it doesn’t leave a filmy/oily feeling after using it too. I bought this after Anna from VDM said it’s one of her all time faves and she knows her stuff when it comes to good skin products - honestly I couldn’t be more pleased with it! Although it’s on the more pricy side, you get 200ml and surprisingly a little goes a long way - I’ll still be using this bottle till the end of 2015 I’m sure! The reason I use an oil cleanser before another cleanser is because I’m all about the double cleanse method - I don’t believe you can truly cleanse your skin AND remove makeup in one go. 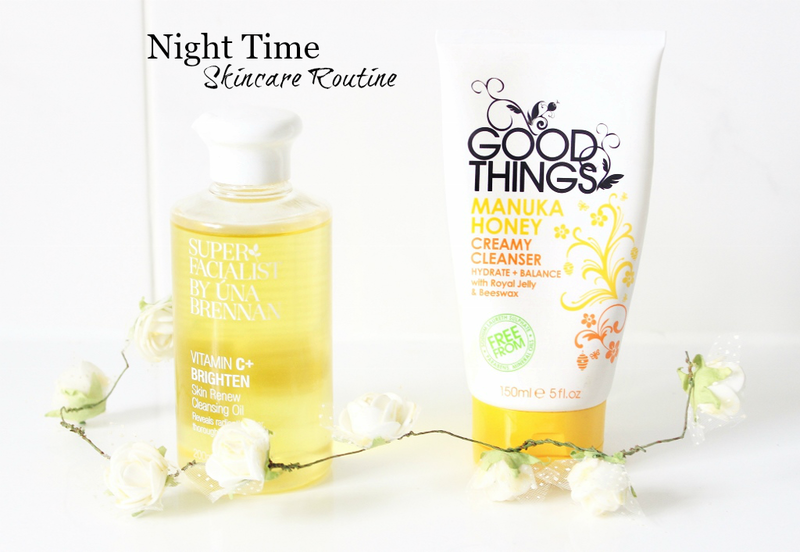 Next I take a small amount of my FAVOURITE cream cleanser in the whole wide world - the Good Things Manuka Honey Creamy Cleanser (£4.99). It is the most soothing, luxurious feeling cleanser I’ve tried, much more than the much raved about Liz Earle one! It smells divine and is packed with brilliant ingredients that are found in much more expensive products such as - Royal Jelly and of course the Manuka honey itself. Most days I will massage this into my skin and then remove it with a warm damp flannel as that gets the best, squeakiest clean (yet still hydrated and plump) finish. Read the full review here. Sometimes, not ALL the time I’ll tone with the Lush Eau Roma Water - reviewed here. 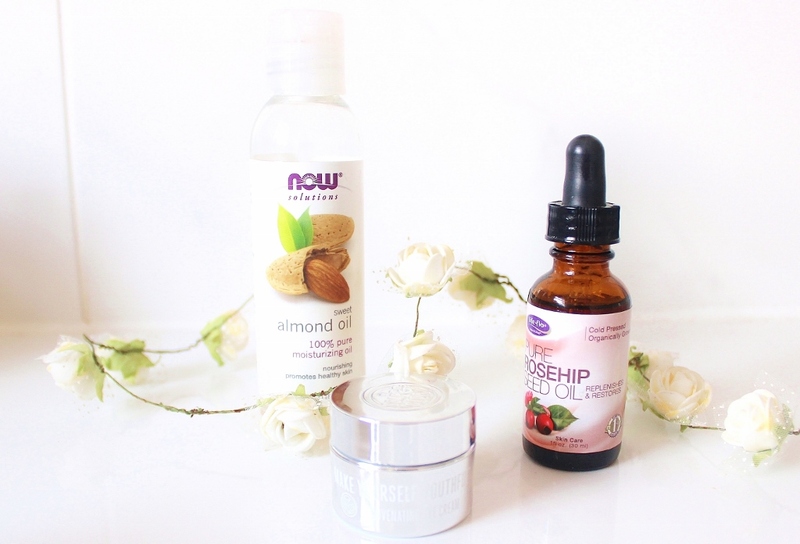 I did own a superdrug night cream but it just wasn’t doing it for me, so instead I use a combination of oils. 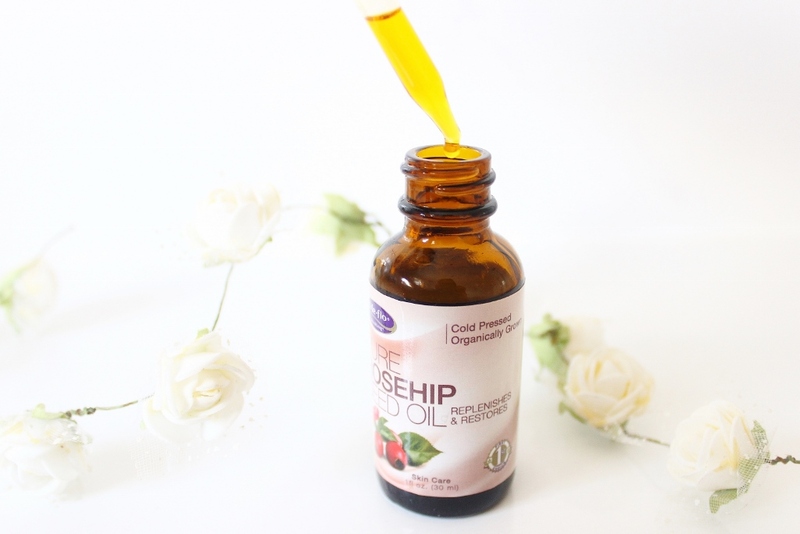 Mainly the Pure Rosehip Seed Oil ($5.69) which is moisturising, nourishing and contains Vitamin C which is supposed to help reduce the appearance of dark spots and hyper-pigmentation. It's lightweight and works so well, in the morning my skin is glowing and feels soft and plump. I love the pipette style dropper allowing you to get the exact amount and not wasting any. 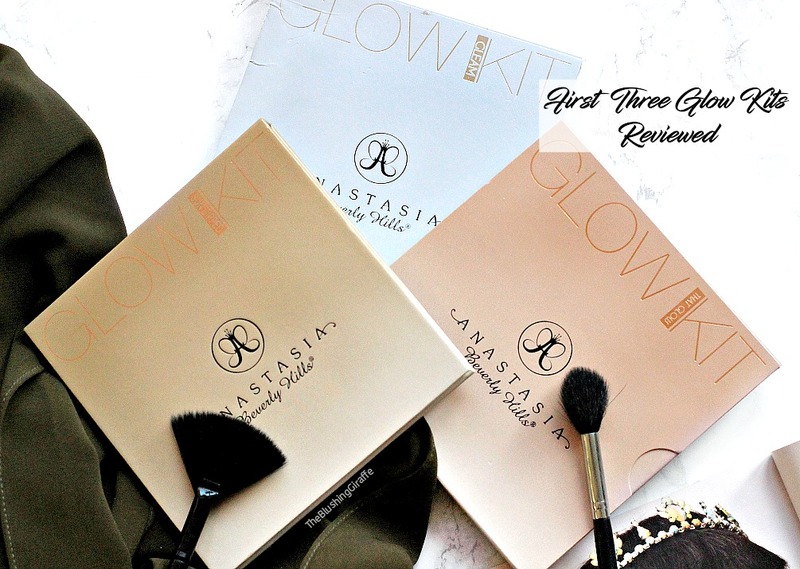 The site I bought it from (linked) is so affordable and I will definitely be reordering. Moving onto the parts of my night time routine that I do pretty much every-other day (more or less). I use the Soap and Glory Scrubatomic Daily Face Polish (£9.00) which is a very very fine scrub. When I first purchased it I was a bit disappointed by just how fine it was, but not wanting to use it daily (as that's too harsh imo to be scrubbing the skin) I decided three times a week is adequate. It's a decent scrub and I do feel like I'm having the dead skin gently buffed off but I'm not sure I'd repurchase. I also use a sugar scrub, this one I've had for a while and it's similar to the one you can buy at Lush stores. It's so important to exfoliate the lips too as lip balm just doesn't cut it alone. 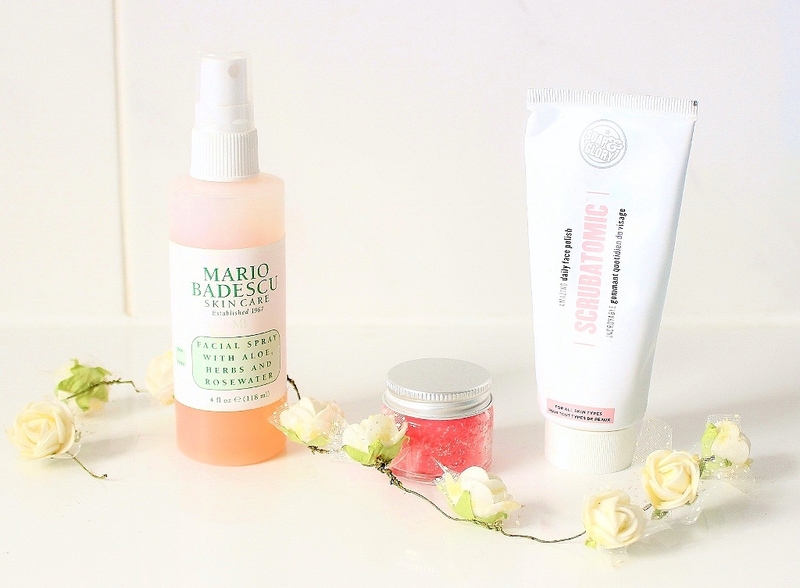 Finally a new addition to my skincare routine, something I don't actually use 3x a week, I use it everyday (I just forgot to add it to the photos above) is the Mario Badescu Facial Spray with Aloe herbs and rosewater (£5.95). This amazing multi-use product is the best facial spray ever, after cleansing, after makeup basically anytime I need some light moisturisation. 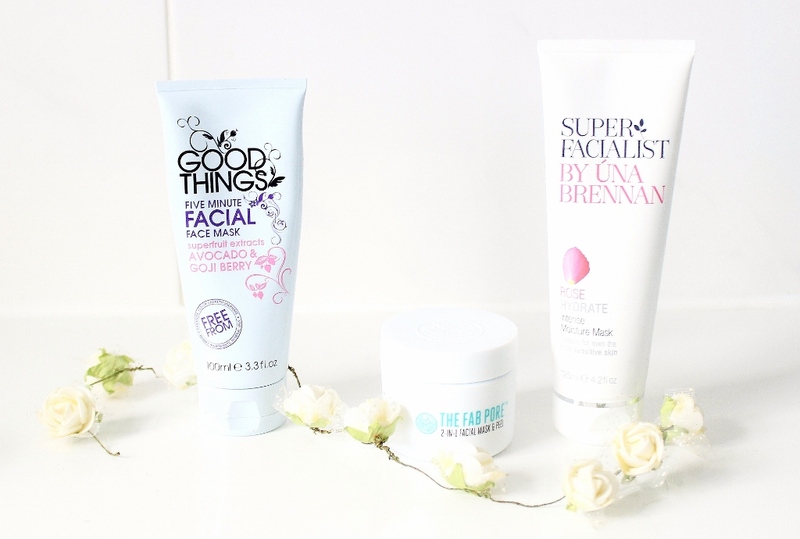 At least once a week I'll try to remember to do a face mask, either the Good Things 5 minute facial (£5.99) which is a good all around skin booster or either one of the Una Brennan masks - depending on if my skin is congested and spotty or needing moisture. When I'm have an oily moment, which does weirdly sometimes happen and I feel like my pores need a really deep clean I opt for the Soap and Glory 2-in-1 Facial Pore Purifying Mask (£10.00). Its very refreshing and does leave my skin a little tight feeling but it's worth it every other week, maximum. Not pictured but I also really love the Good Things Manuka Honey Radiance Mask (£5.99) which is a clay mask that softens the skin! As well as brightening it and deeper cleansing.